Eurovision Song Contest 2018 has begun! The first Semi-final has just finished in Lisbon's Altice Arena. 19 songs competed for the 10 tickets to the Grand Final on Saturday 12 May 2018. The running order in the Grand Final will be determined by a draw (which half of the semi-final each country will compete in) and the broadcaster RTP after Thursday's Semi-final 2. Each of the countries participating in Semi-final 1 plus Portugal, Spain and United Kingdom. 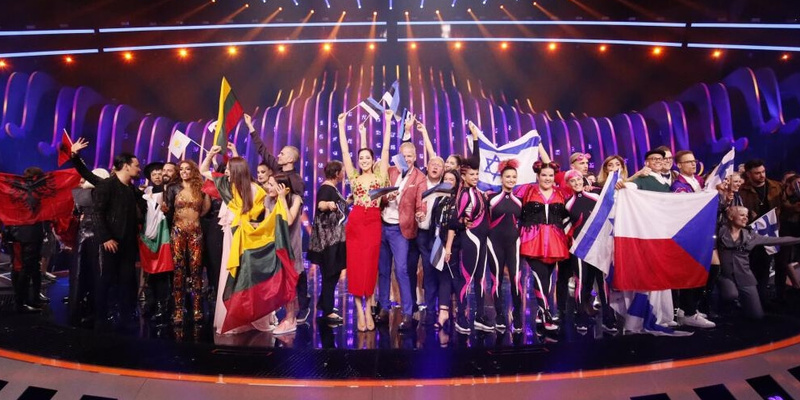 Each voting country's jury and televoters each gave 1,2,3,4,5,6,7,8,10 and 12 points. The detailed results, voting & points in Semi-final 1 will be revealed after the Grand Final on Saturday 12 May 2018. The 63rd Eurovision Song Contest takes place on 8, 10 and 12 May 2018. The contest is hosted by Lisbon, Portugal, and produced by the Portuguese broadcaster RTP.